I CAN REMEMBER IT LIKE IT WAS YESTERDAY. I had just found out my husband was having an affair, and I was desperate to save our marriage. Perhaps you’re in the same situation with your marriage. You know there has to be a way, and you’re determined to find the answer before it’s too late. I TRIED EVERYTHING I COULD THINK OF. I went to my friends and family to ask them for help, but there was nothing they could do to change my husband’s mind. When that didn’t work, I approached my pastor, only to be told that he didn’t do marriage counseling. FINALLY, I FOUND A CHRISTIAN COUNSELOR At last I felt like I was going to get some answers. This particular counselor came highly recommended, and I was looking forward to our first session. I envisioned coming out of that session filled with tips and ideas of things I could do and that we could do together as a couple to save our marriage. I couldn’t believe it when, after that first session, she didn’t have any advice for me. I wasn’t offered any kind of plan. AT THAT POINT I FELT LIKE I WAS REALLY ALONE. If a Christian counselor wasn’t able to give me the help I needed, then what could I possibly do? PERHAPS THAT IS WHERE YOU ARE FINDING YOURSELF RIGHT NOW. You’ve tried so many things to save your marriage, and every time you’ve sought out resources and help, you’ve realized the same thing I had to realize. 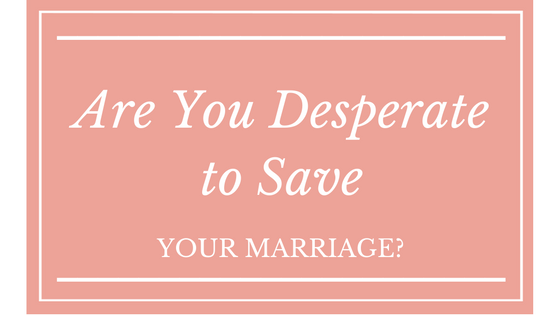 You needed to find someone who specializes in saving marriages. SOMETIMES WE HAVE TO GET TO THAT PLACE before we can realize how close God is. It wasn’t until I was utterly alone in my grief over the loss of my marriage that I was able to distinguish God’s arms around me. Shortly after that, I understood that His arms had always been around me; even when I didn’t know it. MY FRIEND, GOD’S ARMS ARE AROUND YOU TOO. If you know you’re struggling in your marriage. I know you have pain and you want to change your spouse. I’ve been there. I want to invite you to read about my story through Enveloped. You’ll find raw truth in this book because it is my story. My prayer is that it helps you begin the healing process in your own life. I KNOW GOD HAS GREAT THINGS IN STORE FOR YOU TOO, just like He had great things in store for me. It’s much easier knowing how much He loves you, even when your whole world seems to be falling apart. I would love to share my journey with you as you experience what it’s like for God to envelope you too.